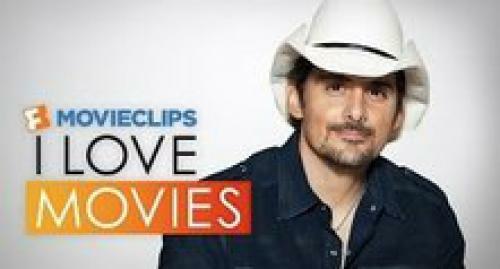 Brad Paisley did his homework on his favorite film. Get schooled in the new episode of Fandango MOVIECLIPS' #ILoveMovies. See even more #ILoveMovies episodes featuring your favorite celebrities here. And be sure to tune into “CMA Music Festival: Country’s Night to Rock” Tuesday, Aug. 4 at 8|7c on ABC to check out these and all of your favorite country artists. Brad Paisley did his homework on his favorite film. Get schooled in the new episode of Fandango MOVIECLIPS' #ILoveMovies.See even more #ILoveMovies episodes featuring your favorite celebrities here: http://fandan.co/ILoveMovies And be sure to tune into “CMA Music Festival: Country’s Night to Rock” Tuesday, Aug. 4 at 8|7c on ABC to check out these and all of your favorite country artists.